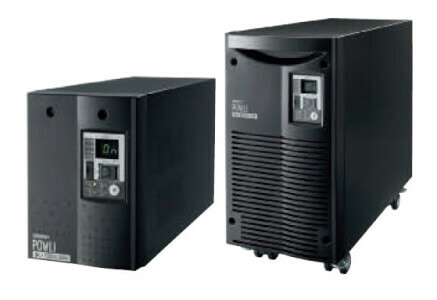 The BU_2SW series is the best possible AC-AC online uninterruptible power supply (UPS) to provide a pure sine curve output with your industrial equipment, embedded applications or complete system against instantaneous voltage drops or power interruptions. The BU_2SW loads are permanently supplied with an output voltage or output frequency independent of the mains input; this is made possible by the online technology and provides a continuous power supply during voltage drops or power interruptions for a guaranteed time period. The added inclusion of hot-swappable batteries ensures clean, uninterrupted power to protected equipment and systems, even during battery replacement. The BU_2SW comes with a variety of connections for factory automation needs: an input/output terminal block, Ethernet for IoT, USB, RS-232C and I/O port for communication and an external remote ON/OFF signal. The easy to use 7SEG display operation means that you don’t need to use a PC during set-up and the multiple mounting options give you the flexibility to standardize on one product for use in different environments and to your individual application needs. The BU_2SW can be placed outside of the panel or inside, depending on your application, and can be used as a standalone device or mounted on a 19” rack. As standard these AC to AC UPS devices feature automatic shutdown software that is compatible with the latest virtual operating system for advanced IoT. They are also CE marked and are ideal for systems that require stability, as they have a standard bypass function feature.